Public tours start at 3:00 p.m. They are available from May to September. Private tours run in the morning, afternoon, or at sunset. Start times depend on the time of year. Most months offer all 3 tours, while winter months only have 2 tours per day. Please arrive at our meeting point - Port Olimpic - 15 minutes before the agreed start time. 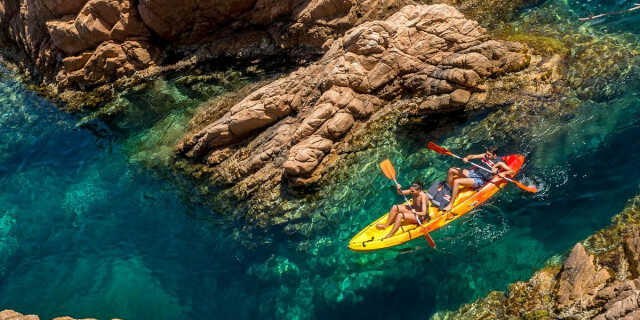 Sun protection (hat, sunglasses, sunscreen), appropriate clothing (can get a bit chilly in the open sea during non-summer months), and if you plan on jumping into the sea: swimsuit, swimming gear, and towel. You can bring as many drinks, snacks, and food as you like. If you feel you may be sea sick, please bring medication (we also recommend Stugeron, a.k.a. Cinnarizine - one tablet to be taken an hour before sailing). There is a toilet on board, but using it can be tricky as the boat moves through the waves. There is no age minimum or maximum on this tour. We recommend families (especially with children) book a private tour, since you will have the boat to yourself. Please arrive 15 min before the scheduled start time. 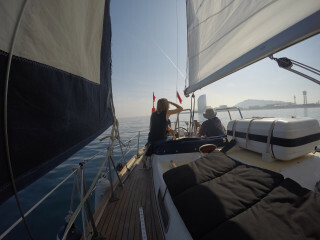 Whether you're bringing your family to a private sunset tour, or you're a solo traveler joining the public tour, sailing through the Mediterranean is an adventure. 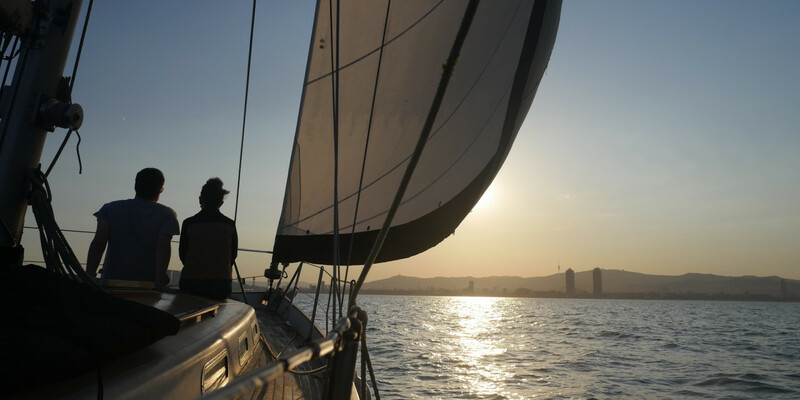 Barcelona's skyline keeps you company as you relax, jump into the sea, and test out your sailing skills! We meet in Barcelona's central Port Olimpic harbor and are greeted by our experienced captain. After boarding the 38-foot classic 70s sailboat and a quick safety briefing, we set off. During our cruise, we provide beer, soft drinks, and water, unlimited for you to enjoy. To make the journey exactly how you want it, feel free to bring any food and music you like. Then just sit back and enjoy the sunshine, breeze, and waves below. You can jump into the cooling water and go for a swim, or help the captain navigate the waves. Our sailing team is made up of dedicated, experienced professionals, and they will happily explain tips and tricks to you so you can test them out right on the sailboat! 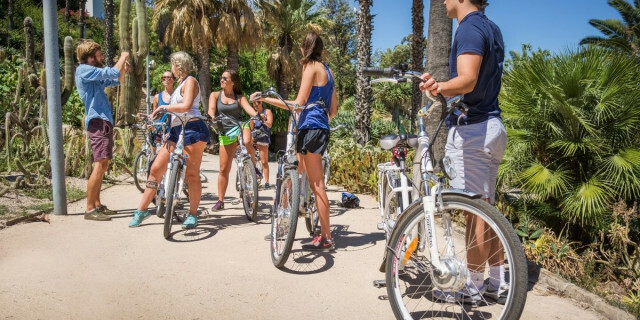 Moving along Barcelona's coast is an exciting way of discovering the city's beauty. 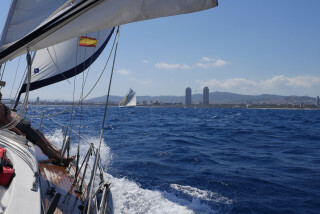 We see the iconic Montjuic and endless stunning coastal views from the water. We definitely recommend bringing a camera! And while the crew gives you privacy if you like, you can ask them about anything that catches your eye and you'd like to know more about. They know the city as well as they know the seas. After 2.5 hours of sailing, we return to the port and say goodbye to the sea. 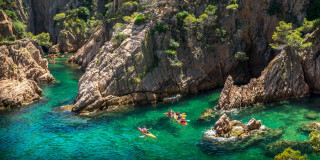 This tour is a wonderful treat for families looking for a fun break on the water, as well as for friends and solo travelers looking to explore a different way.